Japan successfully wiped out America's defenses at Pearl Harbor, and they knew they were going to before they set out, so why didn't they take some paratroopers with them to seize the harbor from the US? This would have had even more of an impact than just blowing stuff up. There are two simple reasons they did not, besides "they couldn't"
The "they couldn't" is underscored by the fact that their longest range transport planes had ranges (one way) of at most 3300 km (about 1700 NM) so even on a one way trip they can't reach Hawaii. But the idea is dead in the water for a number of very basic reasons, the two primary ones being Strategic and Logistic. In military terms, the attack on Pearl Harbor was not the main effort. It was a supporting effort to the main effort, which was in the Philippines and points east in the Dutch East Indies. The whole point of attacking and neutralizing the US fleet at Pearl Harbor was to buy time to take over parts of Southeast Asia: the reason to do that was to consolidate their natural resource access requirements. Taking the Philippines was the more critical task in that strategy, since that would eliminate American interference with getting oil and other materials from southeast Asia. Japan successfully invaded and occupied the Philippines, and removed the Americans from that geo-strategic position. The attack on the Pearl Harbor was synchronized pretty well with the attack on the Philippines . Their planes could not fly far enough to drop a division on Pearl Harbor, from Japan. They'd have had to build forward air bases to make such an airborne attack even possible. As they didn't have any territory on which to build forward bases, they'd have had to invade and take islands to build them. (Even having taken Midway before Pearl Harbor, they'd have had to modify those transport aircraft to get more range out of them ... 1300 NM from Midway to Pearl, 2600 NM round trip). This building forward bases ahead of time from which to stage the parachute division (established in 1938) would have ruined the surprise attack on Pearl Harbor (strategic surprise was an element of the achieved tactical surprise). They'd then have to support a light division across thousands of miles of ocean, but their main effort was in the Philippines. Militarily, it would have been a lousy idea to drop a division (if they even could) and then try to take / hold Pearl Harbor. The subsequent attacks on Wake Island and Midway were aimed at extending their basing ability to provide land based air, once the "we'll knock the American fleet out and they'll stay out of our way" strategy failed. Those two campaigns were not any good for the Pearl harbor attack, in a temporal sense. The attack on Pearl Harbor was informed by, and gained support in the Imperial General Staff, the successful attack on Taranto by British carrier based aircraft in November of 1940. Given the cost and near failure of the paratroop attacks on Crete, from nearby Greece, it is doubtful that the Japanese would conclude from that operation that an airborne assault across many thousands of miles of ocean would be a good idea. (Riffing off a point made by @TomAu in his answer). A further example of the risks of an airborne assault was the German airborne assault on the Hague. This was an attack against a well defended position which caused significant losses in troop transport assets. (@BasJansen, thank you). If you look at how spread out the Japanese areas of control and occupation were, risking major losses to their air transport assets would be another argument against this high risk operation if it were suggested to the Imperial General Staff. 1 Then the weight of effort (Schwerpunkt) would be in that area. The second key element was concentration at the weight of effort (Schwerpunktbildung). The specific scenario of using paratroopers is a nonstarter. In addition to @KorvinStarmast's answer on why it's infeasible, Japan actually only had about 1,500 paratroopers. There simply wasn't enough of them to actually do anything, even if they could be transported to Hawaii. The reality was that Japan never had any chance even if they wanted to. The US military actually took the defense of Oahu, where Pearl Harbor is located, very seriously. A few months before the attack, Marshall went as far as boasting to President Roosevelt that the island was "the strongest fortress in the world". Accurate or not, by 1941, Hawaii was defended by a sizable army numbering over 42,000. Hence, the premise of the question is not very accurate. The Japanese strikes inflicted a great deal of damage, especially to the navy, but Hawaii's defenses were far from "wiped out". In fact, of the planes Japan lost in the attack, 20 out of 29 planes were shot down during the second strike. The island of Oahu, due to its fortification, its garrison and its physical characteristics, is believed to be the strongest fortress in the world. Boer, Peter F. Opportunity: The Hidden Side of Wealth: The Hidden Side of Wealth. Xlibris, Corp., 2010. In the year preceding the Pearl Harbor attack, the Army's officer and enlisted strength in the Hawaiian Department grew from 28,798 to 43,177, and Hawaii remained the largest of the overseas garrisons. Conn, Stetson, and Byron Fairchild. United States Army in World War II: The Western Hemisphere. Conn, Engelman, & Fairchild, 1960. This is clearly not some basic security that a surprise airborne assault could overwhelm. It's one thing to bomb such a force. It's quite another to dislocate it from an island - as the rest of the Pacific Campaign would later demonstrate. A multi-division invasion force would have to be mustered and ferried across the ocean, and supplied indefinitely.And that was simply strategically and logistically infeasible. To put things in perspective, the attack on Pearl Harbor was only one part of an extensive Japanese campaign throughout Southeast Asia. At very nearly the same time, the Japanese Army landed in the Philippines with some 43,000 troops, attacked British Malay with about 35,000, and invaded Dutch East Indies with around 55,000. All of these locations were far closer to Japanese bases than Hawaii. Yet, these campaigns still stretched Japanese logistics beyond its limits. An invasion of Hawaii would require a force on the same order of magnitude as the aforementioned ones, but at a considerably higher expense due to the distance involved. Japan had entered the war with a 35% hole in its shipping needs, which were previously filled by Allied merchant marines. To supply an additional force to attack Hawaii, even assuming the necessary manpower could be found, was impossible without giving up on their other plans in South East Asia. Which brings me to the next point. Realistically, Hawaii was strategically useless to Japan, so they didn't want to anyway. 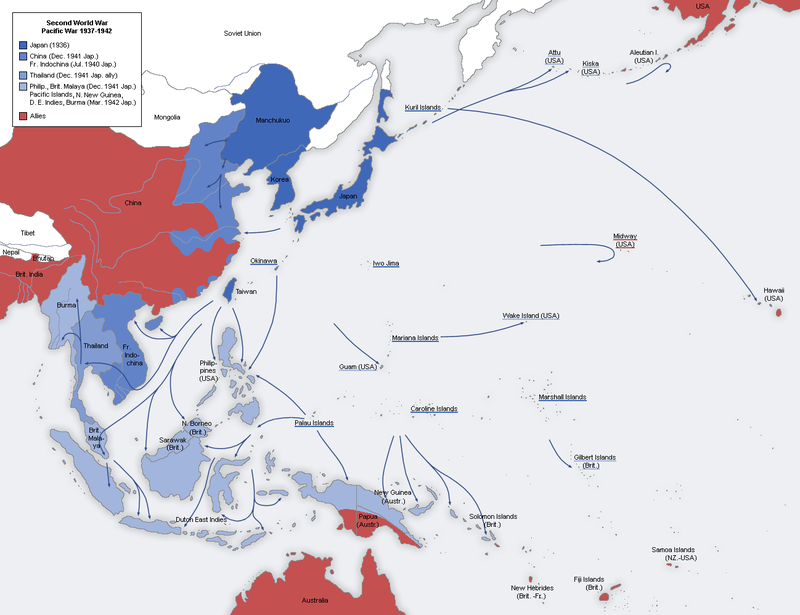 The entire reason Japan entered the Pacific War was to take the resources of South East Asia, which had been denied to it by the US embargo. What resources did Hawaii have? It was a massive detour for no practical gains, not even worth the effort of supplying a garrison. The only reason they attacked Hawaii at all, was to knock out the US Pacific Fleet in order to prevent it from interfering in Japan's southern operations. Japan faced several shortages, but the most pressing one was oil. As the embargo took hold, the Japanese navy alone was consuming 400 tons of oil per hour and was becoming desperate as supplies dwindled by 28,000 tons per day. The Japanese had no alternative but to capitulate to the embargo and negotiate a humiliating deal or to seize the rich and weakly defended oil fields in Sumatra and Borneo, the only ones accessible within their military capabilities. Reyes, Major Blanca. Waking the Sleeping Giant at Pearl Harbor: A Case for Intelligence and Operations Fusion. Pickle Partners Publishing, 2015. At the time Japan's oil reserves was only some 43 million barrels of oil. The daily consumption of 28,000 tons is just over 190,000 barrels - in other words, the stockpile was only good for less than eight months. Securing the Dutch oil fields was thus the top priority, and the Japanese military carefully planned their operations to open such a supply line as quickly as possible. Japanese advances up to 1942. See how out of the way Hawaii is from the main objective, Dutch East indies. Even if it was technically possible for Japan to muster enough forces to take Hawaii at the start of the war, there was no oil in Hawaii. In other words, it wouldn't accomplish anything other than to cripple Japan when the oil runs out soon afterwards. Note what that list doesn't mention? Two dozen destroyers. Minelayers. Torpedo boats. Coastal artillery. Antiaircraft guns. The 40,000-strong Army garrison. Four battalions of Marines. The attack on Pearl Harbor didn't wipe out America's defenses, it wiped out the offensive force. A paratrooper drop, or even an all-out amphibious assault, would have been defeated almost immediately. One answer to this question lies in President Roosevelt's "day of infamy" speech. "Yesterday the Japanese Government also launched an attack against Malaya. Last night, Japanese forces attacked Wake Island. And this morning, the Japanese attacked Midway Island." The Japanese were engaged all over the Pacific, and spread very thin. Pearl Harbor was the farthest away of their targets, and therefore the lowest priority for occupation. The Japanese might have attempted Hawaii after capturing all the other targets above, to extend their base, but not before. Their goal in December 1941 was to neutralize Pearl Harbor, specifically its fleet, not to occupy it. Regarding "paratroopers," Hawaii was a lot farther from the Japanese bases than Crete was from say, Greece. The "paradrop" on Crete barely succeeded, suggesting that a similar attempt on Hawaii, without the ability to reinforce and resupply the invaders, would have failed. Invasion of Hawaii after a three staged air attack on Pearl Harbor was discussed and rejected even though the Japanese realized Hawaii was important to both countries. This source answers the question well. Not mentioned above was the competition between the Army and Navy and the difficulty in coordinating between the two. This played a significant role in the decision on Hawaii. Planner, Commander Minoru Genda who saw Hawaii as vital for American operations against Japan after war began, believed Japan must follow any attack on Pearl Harbor with an invasion of Hawaii or risk losing the war. He viewed Hawaii as a base to threaten the west coast of North America, and perhaps as a negotiating tool for ending the war. He believed, following a successful air attack, 10,000-15,000 men could capture Hawaii, and saw the operation as a precursor or alternative to a Japanese invasion of the Philippines. 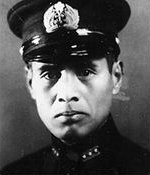 In September 1941, Commander Yasuji Watanabe of the Combined Fleet staff estimated two divisions (30,000 men) and 80 ships, in addition to the carrier strike force, could capture the islands. He identified two possible landing sites, near Haleiwa and Kaneohe Bay, and proposed both be used in an operation that would require up to four weeks with Japanese air superiority. Japan's ground forces, logistics, and resources were already fully committed, not only to the Second Sino-Japanese War but also for offensives in Southeast Asia that were planned to occur almost simultaneously with the Pearl Harbor attack. The Imperial Japanese Army (IJA) insisted it needed to focus on operations in China and Southeast Asia, and refused to provide substantial support elsewhere. Because of a lack of cooperation between the services, the IJN never discussed the Hawaiian invasion proposal with the IJA. Most of the senior officers of the Combined Fleet, in particular Admiral Nagano, believed an invasion of Hawaii was too risky. In the literature there is an agreement that the attack on Pearl Harbor was to remove the US fleet from stopping the conquest of the Southern Resource Area which was the actual casus belli. The IJA (Army) had no part in planning the attack on Pearl Harbor and was instead moving all forces not needed in China to invade Thailand, DEI and the Philippines. The infantry available to the IJA was limited to SNLF which would not be enough especially since it was already detailed for other operations. As a counter-factual: it's possible that Japan could have actually conquered the "Southern Resource Area" without bringing the US into the war. The Pearl Harbor attack was dangerous for Japan. They committed the bulk of their carrier forces, six carriers, to the attack, with over 1000 miles to travel before the fleet could be back under land based air cover. They ran the strong risk of being discovered while approaching Hawaii, and could have been facing the US fleet at sea. Any ships that were severely damaged at Pearl Harbor would probably have been lost on the long return voyage. Had the Japanese fleet run into effective opposition, they could have seen their offensive power severely limited. Which is exactly what happened at Midway six months later, when they lost four carriers. Japan never captured any more territory through naval action after Midway. After the costly naval actions around Guadalcanal, whose losses Japan couldn't replace but the US forces could, the IJN ceased to pose a serious offensive threat. That also could have been the result of a Pearl Harbor attack gone wrong. Pearl Harbor was a long way from friendly waters and support, much further than Japan had ever staged a major offensive action. Keeping a garrison at Hawaii provisioned with war consumables: weapons and ammunition, would have been impossible, even before US submarines wreaked havoc on Japanese shipping. So while Japan could possibly have taken the Hawaii islands, had they brought most of their marine forces with them, they couldn't have held those islands for very long, and they would have lost a large number of highly trained Imperial Marines in the process. And even taking Hawaii would be in doubt: Not long after the Pearl Harbor attack, a relatively small number of determined US Marines on Wake Island put up a very spirited defense, driving off the first Japanese landing attempt, before a second, more heavily supported attack finally succeeded. When the first Pearl Harbor attack wave met with great success, Nagumo promptly secured the aircraft and ran for friendly waters, to avoid damage from an expected counterattack. That is why the huge oil reserves at Pearl were not destroyed - the second attack wave was never carried out, due to fears of heavy damage to the fleet, at such a great distance from Japanese controlled waters. Not the answer you're looking for? Browse other questions tagged world-war-two military japan or ask your own question. Why was Pearl Harbor selected as the base Japan attacked in December 1941?